"How much does the TSA pay for an app that a beginner could build in a day?" technologist Kevin Burke asked in a recent blog post. $1.4 million, it turns out. 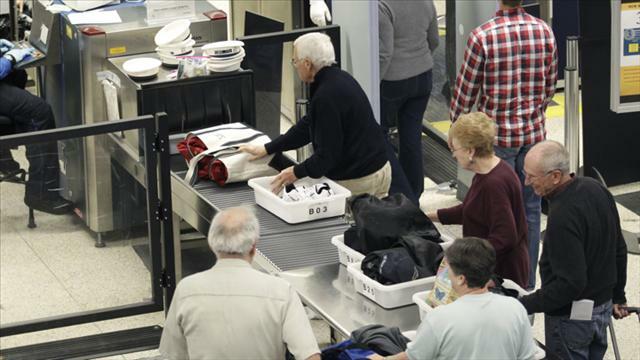 The app in question is the Transportation Security Administration's randomizer app, used to select passengers for the comparatively quicker precheck security screenings. Burke submitted a Freedom of Information Act request to find out how much the Department of Homeland Security paid for the simple randomizing tablet app. He was shocked to learn the IBM-commissioned iPad app cost the department $336,414. But that's just the beginning. The total cost of the project — including things like training and the tablet devices themselves — appears to have been $1.4 million. As you can see in the video below, tablets equipped with the randomizer app are attached to pedestals near the front of airport security lines. The app has a fairly simple user interface; the TSA attendant simply hits the screen, and an arrow indicates which line a patron should stand in. While $1.4 million may seem like a lot, it's worth noting that app development often costs as much as a million dollars, according to app developer Savvy Apps. Even so, the IBM award seems a bit much for an app that could theoretically be built in a day. The excessive price tag for a government-commissioned piece of tech shouldn't come as much of a surprise: Past studies have found the government tends to pay more for contracted work than it would if it hired the staff to do projects in-house, according to the New York Times. Mic has reached out to the Department of Homeland Security and is awaiting comment.